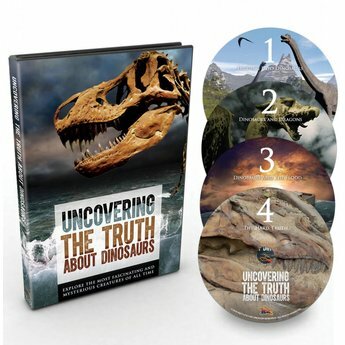 This pack includes all four major DVD series produced by ICR - Unlocking the Mysteries of Genesis, Made in His Image, Uncovering the Truth About Dinosaurs, and The Universe: A Journey Through God's Grand Design! Produced from a biblical perspective, Made in His Image will inspire audiences by looking at the human body in all its wonder-fully functional, fully human, and fully created in God's image. Featuring medical, engineering, and other experts like Dr. Randy Guliuzza, Made in His Imagewill fascinate audiences with mind-blowing facts, dazzling imagery, and memorable illustrations. The four episodes will examine the stages of human development and show that everything we need to fulfill God's plan is instilled in us from the first moments of life. 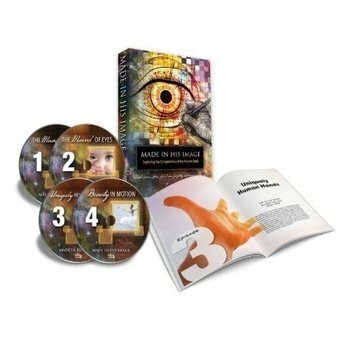 Each episode reinforces the knowledge that every human is special to God, and that he has endowed each of us with unique physical abilities, intellect, and spiritual lives to fulfill His purpose. 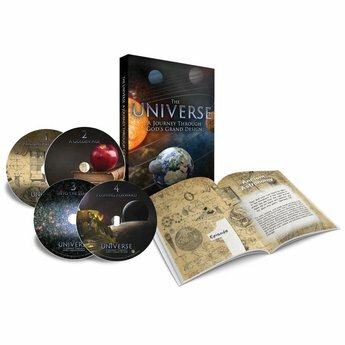 The Universe: A Journey Through God’s Grand Design takes viewers on a journey through time and space, exploring how some of the greatest discoveries in astronomy were made by scientists of faith seeking to understand the exquisite order of God’s universe. Host Markus Lloyd (Unlocking the Mysteries of Genesis, Made in His Image, and Uncovering the Truth about Dinosaurs) travels to world-class observatories and other locations, guiding viewers through the history of astronomy. 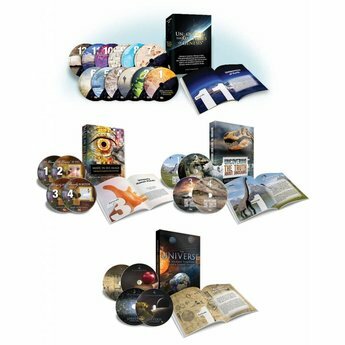 From early theories of the solar system to Newton’s laws to the space race, every century yields profound discoveries and new mysteries to explore. 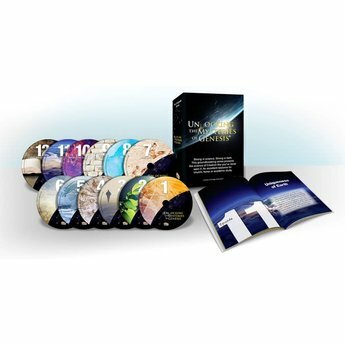 Each episode takes us deeper into space and closer to today, when interplanetary probes reveal astonishing evidence that confirms and leaves us in awe of God’s grace and power. Total Shipping Weight: 4 lbs. 8 oz.